Turkey‘s anti-democratic mentality has not changed since its foundation, but it has never been as oppressive as today, said Turkish human rights defender Eren Keskin. Over the years, Keskin played a vital role in strengthening civil society awareness in Turkey. She became involved with the Human Rights Association (IHD) three years after its 1986 founding and headed its Istanbul branch for years. She has been arrested and imprisoned numerous times, accused of terrorist ties for defending Kurdish rights, and won several awards including the Aachen Peace Award, the Theodore Haecker Prize, the 2018 Helsinki Civil Society Award, the 2018 Anna Lindh Prize, and the 2017 Hrant Dink Award. A new travel ban is likely to stop her from coming to the Martin Ennals Award ceremony on 13 February 2019. “Turkey’s undemocratic mentality has not changed since its foundation,” said Keskin. “There is no change in the mind or understanding of the state. I have been part of the struggle for human rights for nearly 30 years. I have not experienced a period in which freedom of thought and freedom of expression have been contravened this much. Turkey is more oppressive today than ever. 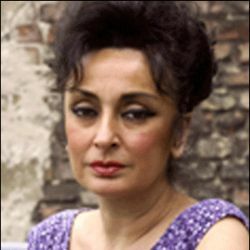 Keskin said she had been brought before the courts more than 100 times and convicted on numerous occasions. An Egyptian lawyer, Samir Sabry, has requested the Attorney General to bring human right defender Asmaa Mahfouz to court. The reason? Winning the Sakharov Prize in 2011! If Egypt Today had reported it a day earlier (on 1 April), I would have credited it as a good April 1st spoof, but unfortunately it is not. In his complaint, Sabry called for the Attorney General to transfer Mahfouz to a Criminal Court trial and ban her from travelling outside the country. He stated that the prize, worth €50,000 was given to her suddenly, and he did not know why. He asked whether it is funding, a reward, or for certain service, and what the reason is for this award. The complaint from Sabry also claimed that this is a Jewish award [SIC} and questions the award’s links to Zionism. 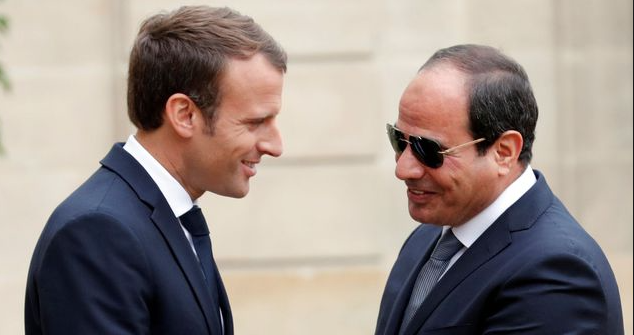 According to Sabry, the answer is that Mahfouz received the prize money, and accepted the award, in return for betraying Egypt. Asmaa Mahfouz was one of the founding members of the April 6 Youth Movement, which sparked nation-wide demonstrations in April 2008 and was indeed awarded the Sakharov prize in 2011 (sharing it with four other Arab figures). The prize in question is the Sakharov Prize for Freedom of Thought [http://trueheroesfilms.org/thedigest/awards/sakharov-prize-for-freedom-of-thought], which is of course is not granted by Israeli but by the European Parliament! However, the issue of foreign funding is a major one in the Egyptian context as demonstrated by the case of two Egyptian woman human rights defenders in the ‘NGO foreign-funding case” (as ISHR reminds us on 29 March 2018): harassed and targeted Egyptian woman defenders Azza Soliman and Mozn Hassan [https://humanrightsdefenders.blog/2017/02/02/right-livelihood-has-to-go-to-egypt-to-hand-mozn-hassan-her-2016-award/] face life imprisonment if their cases are brought to trial simply for conducting legitimate human rights work. Waleed Abu al-Khair, prominent lawyer and human rights activist, speaks to Human Rights Watch over Skype from Jeddah, Saudi Arabia on September 19, 2013. Saudi courts have convicted at least 20 prominent peaceful activists and dissidents since 2011. Many, like Abu al-Khair, have faced sentences as long as 10 or 15 years on broad, catch-all charges – such as “breaking allegiance with the ruler” or “participating in protests” – that do not constitute recognizable crimes. “Every day Waleed Abu al-Khair spends in prison compounds the injustice Saudi Arabia has imposed on him and his family,” said Sarah Leah Whitson, Middle East director at Human Rights Watch. Saudi authorities regularly pursue charges against human rights activists based on their peaceful exercise of freedom of expression, in violation of international human rights obligations. Other Saudi activists and dissidents currently serving long prison terms based solely on their peaceful activism include Mohammed al-Qahtani, Abdullah al-Hamid, Fadhil al-Manasif, Sulaiman al-Rashoodi, Abdulkareem al-Khodr, Fowzan al-Harbi, Raif Badawi, Saleh al-Ashwan, Abdulrahman al-Hamid, Zuhair Kutbi, Alaa Brinji, and Nadhir al-Majed. Saudi authorities arrested activists Issa al-Nukheifi and Essam Koshak in December 2016 and January 2017 respectively, and they may face trial. Others, including Abdulaziz al-Shubaily and Issa al-Hamid, are free while appealing long sentences the SCC handed down in 2016. Mohammed al-Oteibi and Abdullah Attawi are currently on trial for forming a human rights organization in 2013. Many of you are watching events in the United States and asking what is going on – and what you can do. Yes, this is the most dangerous moment for the US and for the world in my lifetime. A US president with total disregard for the foundations of a constitutional democracy – checks and balances, the independence of the judiciary, freedom of the press, the protection of minorities, reasoned debate – has near-complete control over the official levers of power: the executive branch (including the CIA, FBI, NSA), both houses of Congress, and perhaps soon the judiciary. On the other hand, I have never witnessed in my country the kind of mobilization we are seeing today. The nationwide Women’s Marches were the largest demonstrations in US history, but it was only the beginning. Each day brings new acts of resistance. When the “Muslim ban” was announced (a crude and cruel measure only designed to stoke fear and portray the president as the people’s protector), people spontaneously flooded the airports around the country, New York taxi drivers went on strike. When Uber tried to profit from the strike, 200,000 customers deleted their Uber accounts. Bodegas in New York closed to protest the ban. All around the country, citizens are packing elected officials’ town hall meetings, flooding Congress with petitions, postcards, and phone calls. The premier legal organization challenging Trump’s actions, the American Civil Liberties Union, raised $24 million in the days following the Ban. This week, 1,200 people crowded into my neighborhood synagogue to organize the next stages of the resistance in Brooklyn, and the same thing is happening all over the country. Everything is political. Sports. Oscars. Consumer choices. Companies are being forced to take stands, and many of them, particularly in high-tech and globalized industries, are opposing the president. It’s important to remember that WE are the majority. We are also the large majority in the places that matter most to the economy – New York, California, Washington DC, in almost all the nation’s cities. This epic battle for the soul of my country is just beginning. The outcome is uncertain. The next terrorist attack, and the one after, will surely test us even more. Ultimately it will be Americans who decide the fate of the US but there are many ways you can help. -Protest, protest protest! People marched around the world marched with us on January 21, but it can’t stop there. The more organized protests at US embassies and symbols of US power the better. – Don’t give Trump the respect he doesn’t deserve. This week, the speaker of the House of Commons said that he would oppose having Trump address Parliament. Over 1.8 million Brits have signed a petition against any Trump visit. When Trump visits the UK, or anywhere, let him know how the people of the world feel. -Demand that your leaders stand up to Trump. Angela Merkel reminded Trump of the US’s obligations under the Refugee Convention. François Hollande has been outspoken. (Unlike Spain’s Rajoy who offered to be an “intermediary” for Trump in Europe and Latin America). -Like Canada’s Justin Trudeau, leaders should publicly welcome all people from all countries and specifically assure nationals of the 7 “banned” countries that they will be allowed in. -Ask your country to rebuke Trump’s measures which violate international law such as the Muslim ban in international fora such as the UN Human Rights Council and the UN General Assembly. The ACLU and other groups are already challenging these actions before the Interamerican Commission on Human Rights. -Remind non-US companies that they also have obligations, as US law professors did when they wrote to European air carriers https://www-cdn.law.stanford.edu/…/Stanford-Law-Professors-… to ensure the rights of travelers. -Academics, experts, companies and even countries can join litigation in the US with “amicus curaie,” or “friends of the court” briefs. The legal attack on the Muslim ban has been joined https://lawfareblog.com/litigation-documents-resources-rela… by hundreds of technology companies, professors, cities and states, but it would be important for foreign voices to be heard on this and (probably) forthcoming cases. -If the travel ban, or some version of it, is reinstated, we will need volunteers and volunteer lawyers at airports around the world to help stranded travelers and to communicate with volunteers at US airports . Trump (“Only America first”) doesn’t care about what the rest of the world thinks, but the US political and economic establishment on whose acquiescence he depends does care. Make clear that a racist islamophobic US government will not enjoy the same status and goodwill. Most important, don’t let what happened in the US happen in your country!! Trump “won” the US election (just as Brexit prevailed) by building the fear of foreigners and because too many people (white working class) did not see the political system as working for them. The Democratic Party essentially imposed a candidate who many saw as the embodiment of an out-of-touch elite. The same thing now threatens to happen in France, the Netherlands and elsewhere. Please don’t let it. We need you to make a better world together.